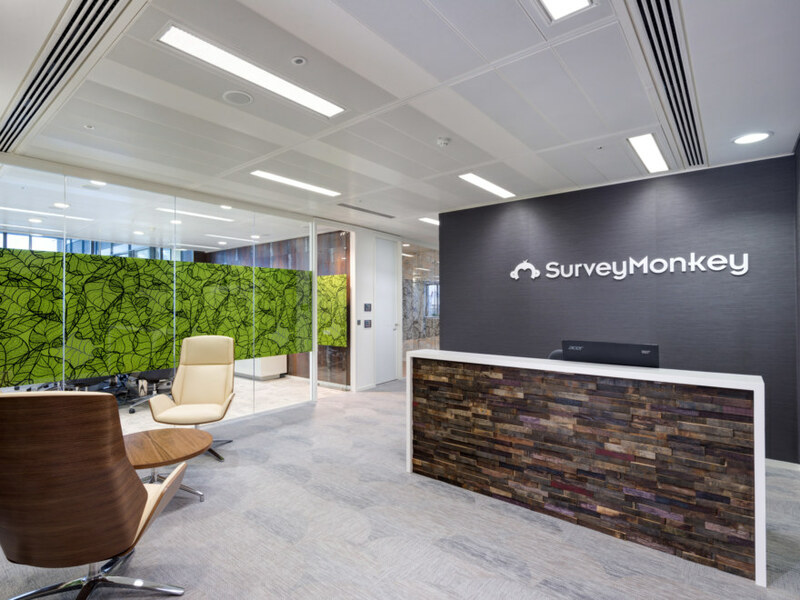 We were appointed to build SurveyMonkey’s new UK headquarters in London’s iconic Heron Tower. They were clear about what they wanted from their new space: a mixture of corporate professionalism with quirky and playful elements in keeping with their US branding. They needed room for expansion and a sufficient amount of client-facing meeting rooms. 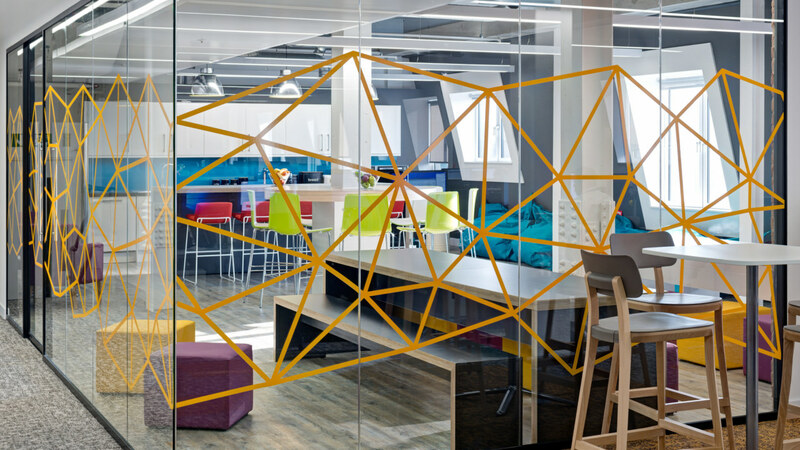 We carried out a Cat B fit out and created a space plan that encouraged flexible working, collaboration and communication and accommodated for significant expansion. 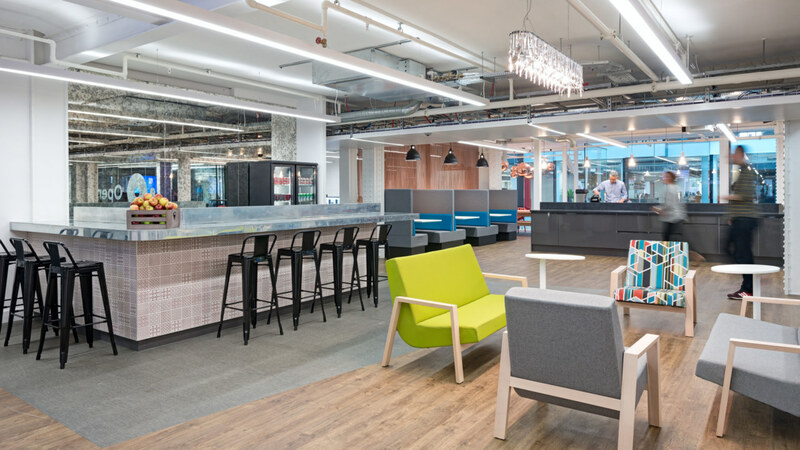 Hospitality is important for both SurveyMonkey’s staff and clients, so we installed a large kitchen and bar in the breakout area with food and drink available throughout the day. 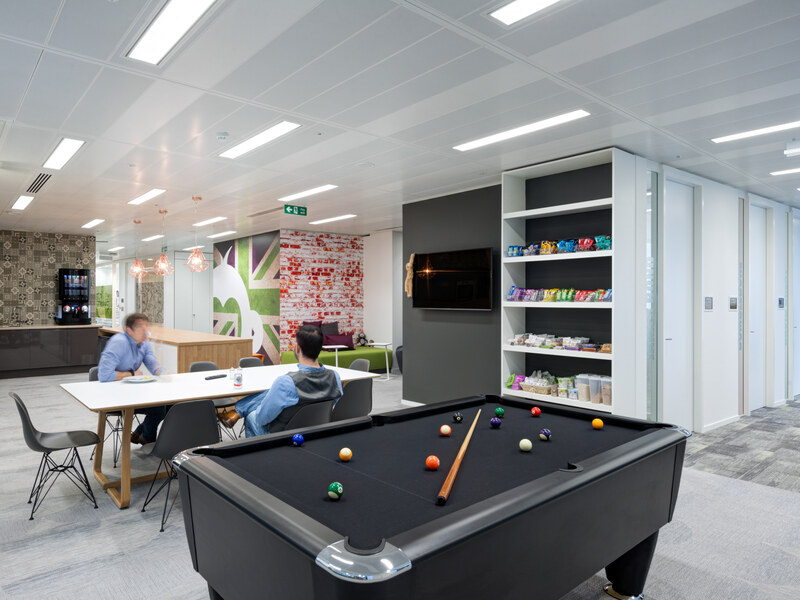 We also designed a designated games area to encourage team collaboration and interaction. 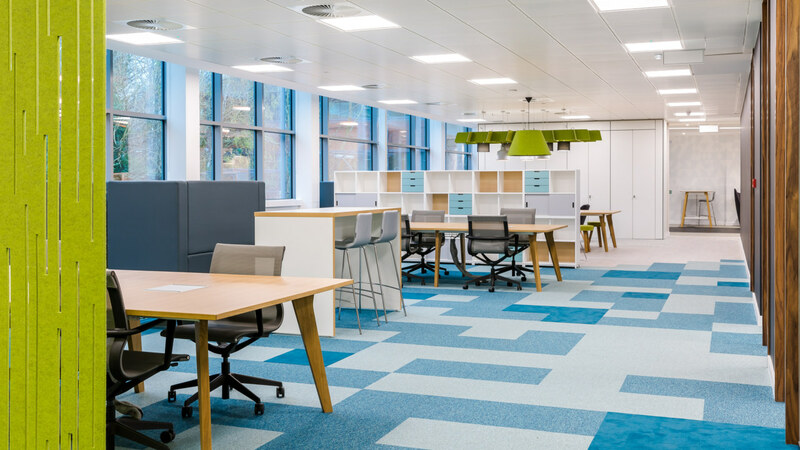 Their business relies heavily on video conferencing and phone calls so we included eight phone booths with customised acoustics for privacy and confidential calls. As this was their first base in the UK, they wanted to integrate elements of Britishness while retaining their American identity. 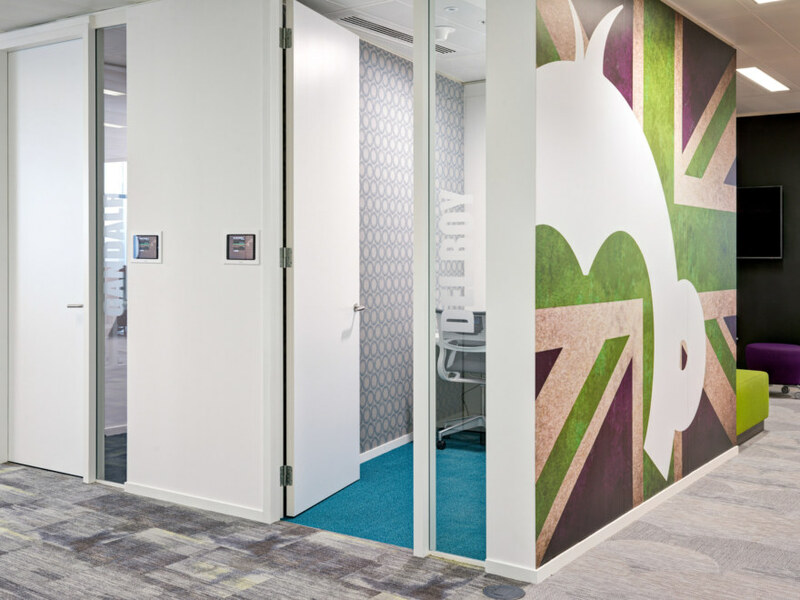 Our designers used a bold colour palette of graphics incorporating the iconic London skyline and the Union Jack to give the space a separate personality to their other offices. 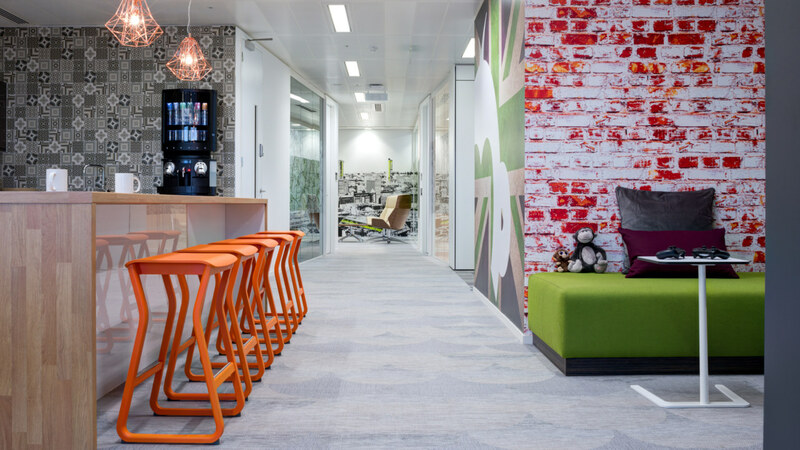 We used soft furnishings and high-specification finishes to achieve a high-end yet playful aesthetic.